The big item of interest on this agenda is a bill on second reading which would change the terms of an original deal in order to provide a windfall for the leftist Neighborhood Resource Center. See the analysis of BILL NO. BL2015-1304 below. If you don't know what the Metro Council is voting on and you watch a council meeting, you will find it really, really boring. If you have your own copy of the Council agenda and staff analysis the meeting will most likely still be boring, but you will at least know why it is boring. There are five appointees to Boards and Commissions on the agenda for Council confirmation. None of them are to the agencies that are problem or controversial agencies. There is one resolution on public hearing and it is to allow a restaurant that already has a state liquor license to be exempt from the distance requirement necessary to get a beer permit. This seems like a waste of time. In my view if you have a liquor license then you should automatically be eligible for a beer license. There are 30 bills on public hearing and I don't even try to form an opinion or even understand the issues involved in every zoning bill. Most zoning bills would only concern nearby neighbors. 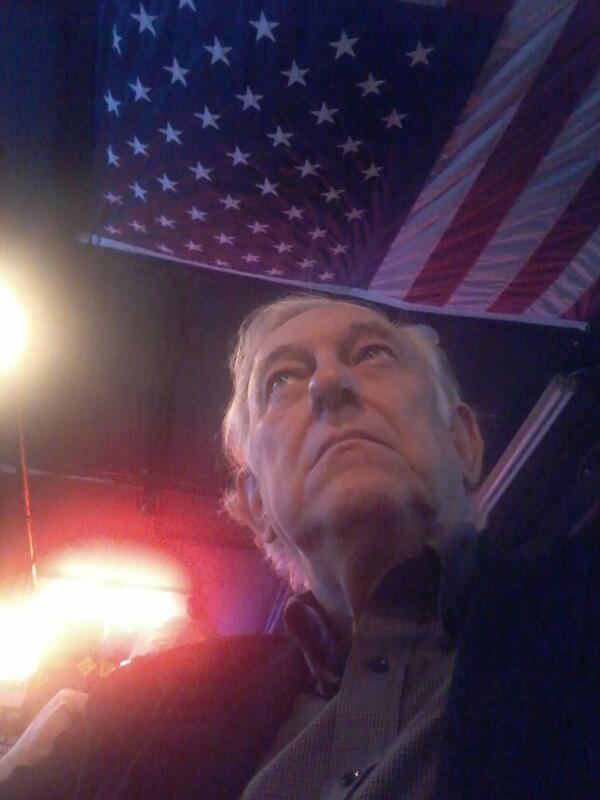 I am pointing out those bills that effect a large number of parcels, or are a zoning text change or for some other reason, I think, may be of general interest or controversial. BILL NO. BL2015-1064 amends the zoning text to allow DADU's (detached Accessory Dwelling Units) on property zoned Commercial Limited. In June 2014 the zone text was amended to allow them in residential zoned districts. I approve of this change. Much of our current poor land use and urban sprawl were caused by policies that were thought the wisest land use policies at the time. Many of these policies were adopted after World War II to accommodate the automobile culture. Requirements for parking for x number of cars per x feet of commercial floor space or dining tables, in-front, off-street parking requirements and such were considered smart planning. Also the brightest land use professionals at the time thought industrial, commercial and residential should be strictly separated. Prior to that time, it was not uncommon for people to live in back of the shop or over the shop where they worked. A lot of what people may think of as a "new" concept in zoning is really going back to older concepts of land use that developed naturally, before land use became so heavily regulated. I guess my sermon of the day is beware of "best practices" and the best and brightest are not always right.What today may seem like a smart idea may not be so smart in years to come. BILL NO. BL2015-1167 by Councilman Scott Davis changes from SP to RS5 zoning on about 238 acres. “Specific Plan District,” generally known as “SP,” zoning refers to a type of base zoning district which is not subject to traditional zoning districts’ development standards. Under an SP zoning, design standards are established for that specific development and are written into the zone change ordinance. RS5 is a medium density residential zone requiring a minimum 5,000 square foot lot and intended for single-family dwellings, prohibiting duplexes. I generally think it is a bad idea to change zoning to a zone that permits less density, but not knowing the details of the current SP, I do not know if this does that or not. This was deferred from a previous meeting. BILL NO. BL2015-1168 also by Councilman Scott Davis and also deferred from a previous meeting effects about 636 acres and would change the current zoning by making applicable the provisions of the DADU overlay. DADU allows for accessory dwelling units, such as garage apartments, on a property and provides a way to create affordable housing options while also maintaining the character of the existing street-facing homes. In general, I think this is good zoning and is a way to increase the stock of affordable housing without mandating developers build affordable units or engaging in price-fixing or rent control. BILL NO. BL2015-1255 would change the zoning text "to permit the transfer of development rights from historic properties in Metropolitan Nashville. This means someone could own a piece of property but could give or sell the right to develop it to someone else, meaning the historical property could not then be developed. That in itself would not protect the structure, but if one could not build on the site, there would be no incentive to tear down a historical structure. If the current owner did not own the development rights, developers would not be trying to buy his property. Something similar is a tool used a lot in rural areas to preserve the character of rural property. A farmer may own a farm and wish to keep it as a farm, perhaps wanting to pass it own to his children. He may give the "development rights" to a non profit conservation group. It is much like a deed restriction that says the property cannot be subdivided or have additional homes build on the property. I was unaware of this as a tool for historic preservation but it makes sense. However, I am still not totally clear how this would work. It appears this transfer of development rights from the owner of the historical property to the party receiving the development rights would somehow benefit the party getting the development rights, but I am unclear how that would work. BILL NO. BL2015-1269 would make "applicable the provisions of the contextual overlay to various properties.." This involves 98 acres and a lot addresses. It is approved by the planning commission. I don't know what it does but effecting 98 acres I think it is worth pointing out. BILL NO. BL2015-1272 in Councilman Scott Davis's district would apply a DADU overlay to 672 acres. DADU is "detached accessory dwelling unit." There are restrictions on size of the accessory dwelling unit and access and other things. I think this is a great way to increase density and promote affordable housing. As we grow, we are going to have to accept greater density if we are going to maintain affordable housing in the county and if we are to avoid more urban sprawl. Also, we need greater density if we are going to have a good mass transit system. I view this as a positive move but maintaining character of the neighborhood, keeping a neighborhood predominately owner occupied, and opposition to more local traffic are arguments against this. There are 13 resolution on the agenda all lumped together and put on the "consent agenda." If a resolution does not pass the committee to which it was assigned unanimously then it is not left on consent but is considered separately. Any council member may, from the floor, ask for a resolution to be pulled off of consent and then the resolution will be considered separately. Here are the ones of interest. RESOLUTION NO. RS2015-1592 authorizes the director of public property to exercise an option to purchase 568.2 acres of property located on Marrowbone Road and Whitlow Mountain Road for the expansion of Beaman Park. As an avowed conservative, some might think I would oppose government expenditures of this kind; I do not. As we grow, I think it wise to preserve open space and park lands and we should get critical lands and beautiful sites when they are available. A more crowded city needs good parks and places for people to commune with nature. BILL NO. BL2015-1098 concerns '“Community Education' siting" and would allow schools to locate in zoned districts where they are not now permitted and would relax the lot size requirements for a school is deferred indefinitely. I think this is a good bill. Included in this is a provision that schools could now be established in IWD districts (Industrial Warehousing/Distribution, intended for a wide range of warehousing, wholesaling, and bulk distribution uses). The bill also provides for "adaptive reuse," meaning a school could be located in an existing building, regardless of lot size, that was not originally intended for a school. On the face of it this seems like a good thing to do. Why not allow a school to locate in a relocated church building or an empty mall? Some people in the Greenhills area are opposed to any relaxation of the current school siting requirements because they are concerned that Hillsboro High will relocate and the valuable land which is now Hillsboro High will be redeveloped. They want to make it very difficult for Hillsboro High to relocate simply because they oppose new commercial and multifamily development in Greenhills. The bill was on public hearing on July 7th and deferred indefinitely. BILL NO. BL2015-1212 would prohibit the sale of single cans or bottles of beer by off-sale permit holders located within 100 feet of a facility that provides food to homeless persons. I oppose this type of bureaucratic micro-management. The bill was previously on second reading and was deferred. 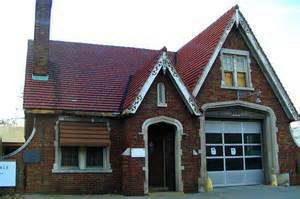 In June 2007, the city sold at a bargain price a historic piece of property to NRC, located located 1312 3rd Ave. North, known as Fire Hall # 1. The property was sold for a price of $86,000 and was appraised for $147,000, meaning Metro essentially gave $61,0000 to NRC. However, the deed stipulated that if NRC ever failed to occupy the building, NRC was entitled to the $86,000 they paid for the property and the cost of any improvements to the property and the property would revert to metro. BILL NO. BL2015-1306 is another of those PILOT (payment in lieu of taxes) sweetheart deals to encourage businesses to locate or expand in Nashville. This one would lure a company from Lavergne to Nashville and give them a $710,000 tax break. There are 96 Bills on Third Reading. Most of them are zoning bills. There are so many because this is the near the end of this term of the council and anything pending at the end of this council term must start all over. This may be a long meeting even if none of the bills generate debate. With so many bills, I am just doing a cursory review. I may miss something. I am not doing my normal careful review so don't depend on me to catch something that may interest you. Here are the ones that I find of interest. BILL NO. BL2013-569 amends the zoning text as it relates to car sales lots, car washes, auto repair centers and maybe some others. It does a lot of things including dictating the type of fence or wall that is permitted in front of the establishment, to requiring at least 1,000 feet between car lots. This bill was disproved by the planning commission. This bill was first introduced in October 2013. SUBSTITUTE BILL NO. BL2015-1120 creates a DADU overlay district.This is how the staff analysis explains this bill: "This ordinance amends the zoning code to create a detached accessory dwelling unit (DADU) overlay district.. In June 2014, the council approved a zoning text change to allow detached accessory dwellings on lots within the R districts with certain conditions. This ordinance would create a new DADU overlay district that could be used on properties that are not in an R zoning district. The design standards listed in the zoning code for other DADUs would apply within this overlay district, which include the following:... "
BILL NO. BL2015-1147 is a less bad form of "inclusionary zoning." Since Substitute Ordinance No. BL2015-1139 was approved on third reading at the July 21 council meeting, this less bad version of bad concept will be withdrawn. BILL NO. BL2015-1153 creates some new zoning districts which would be deemed more pedestrian friendly. BILL NO. BL2015-1210 is the bill that would amend the zoning code to say where a natural gas compression station could be located. This is an attempt to restrict them to certain industrial areas and keep them out of rural and residential areas. This was primarily prompted by a planned natural gas compression station planned for Joelton and many people spoke in favor of this bill at the last public hearing. Without this bill the pipeline companies could build gas compression stations wherever they thought they were needed, subject to getting a certificate of convenience and necessity from the Federal Energy Regulatory Commission (FERC). However, the staff analysis says that Federal law prohibits local governments from regulating natural gas facilities through zoning so even if this passes the courts would likely rule it not enforceable. BILL NO. BL2015-1273 and BILL NO. BL2015-1274 are bills that create two new redevelopment districts. One in Bordeaux and the other in the James C. Casey Homes area off Shelby Avenue. This would make these areas eligible for Tax Increment Financing and other benefits.